Q: I took vacation leave, but became ill at the last week and was given two days sick leave which fell consecutive with the vacation. Now that I am back to work, my employer is claiming that the labour law does not allow sick leave to be taken consecutive with vacation and is cutting my salary. I need to know if such info is accurate. A: Employees who become ill while on annual paid leave must be allowed to retake this time off. This was confirmed in Stringer v HMRC  and Pereda v Madrid Movilidad , which were decided by the European Court of Justice (ECJ) and accepted by the respective Supreme Courts of the UK and Spain. The Stringer case concerned a number of employees. One of those was still employed but off sick. She wanted to be paid for holiday during her sick leave rather than lose the leave entitlement. The others had been dismissed and wanted to be paid in lieu of untaken leave from previous holiday years. 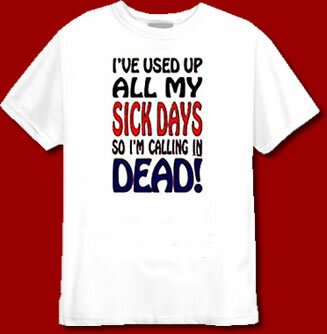 In this case, the ECJ confirmed that workers on sick leave continue to accrue holiday rights. In the case of Perada, the Spanish employer had a system of notifying employees of when they would be taking their leave in advance (like the traditional factory fortnight). This was to ensure numbers of workers off at any time did not exceed the employer’s acceptable levels. The rule was that leave could not be changed with less than 45 days’ notice. According to the rota for 2007, Mr Pereda was due to take annual leave from 16 July to 14 August. However, following an accident on 3 July, he took sick leave until 13 August, with the result that all but two days of his annual leave coincided with his sick leave. Because of this, he asked the employer to grant him an alternative period of annual leave from 15 November to 15 December. The employer refused without giving reasons. The ECJ decided that while the Directive allows workers to take holiday during sick leave, if they do not wish to do so and their prearranged holiday coincides with a period of sick leave, the holiday must be granted at a different time, even if this means carrying it over. So, because this is current law in Europe and the UK, it will be followed at the Industrial Court in Trinidad and Tobago, if it gets there. Your employer cannot deduct wages for being sick on your holiday, unless he believes that you were being untruthful, and he must give you those entitlements back. If you are working for a private company for a number of years and entitled to a month's vacation and maternity leave. Can you take your vacation immediately after maternity leave as extended leave? Also if you were taking vacation before maternity and your baby comes in the middle of the vacation ,do you continue your vacation after maternity. Another question can your employer tell you when to take your vacation at all? Yes, you are entitled to finish your vacation after maternity leave if you conceive during that period. An employer can suggest periods when employees can take their vacation ONLY if it is necessary to meet business needs. For example, a jewelry store employee may be refused vacation during Valentine's and Christmas because these will be peak time for jewelry purchases and all staff will be required to work. Well as a Teacher, you can't really take vacation at any other time other than summer and Christmas. For NIS payments, it's 4, so that's the time frame that's followed by employers. Can an employer split two weeks vacation leave after twelve years so you can only take one week at a time. If it's for a valid business reason, yes. I resigned from my job, gave the month notice as required and was also granted one weeks' vacation during this time coming down the the last week of the notice. Am i causing any type of infraction if I am to take up employment during the time of vacation even though I have resinged. I don't advise; I provide information. Nothing is wrong with working during your notice period. At my establishment, at the beginning of the year for a 2 year period they indicated to staff that vacation leave cannot be carried forward to the following year. The gave staff at least 2 years to take any accumulated leave. The CEO of the company has indicated to me that I am not to carry forward any VL earned before 2013 into 2014. In other words if an employee has 41 days by January 1, 2014 his balance will be 0. Is this legal? When there are any changes in vacation policy, the employer MUST (1) allow the employee to use the time or (2) pay the employee for the unused vacation, which cannot be forced... it must be agreed upon. Could not work permanently or temporarily? Bereavement leave is something a company can choose to offer employees. Legislation only applies to Teachers and Civil Service members. Bereavement leave is company policy, not law. Does an employee have the right to sick leave if he falls ill while on vacation and receives a medical certificate from a doctor? In other words, can x amount of days be reallocated to sick leave instead of vacation leave after-the-fact? Permission or use a sick day. i was given 6 days sick leave after the death of a close relative on the grounds of post traumatic stress disorder, on the last day of the leave I became ill and was given 14 days on the grounds of viral illness. Is it mandatory for me to provide a medical certificate of fitness because I was absent on sick leave for more than 14 days irregardless of the two different reasons for my medical leave? #1 - This is an issue relating to company policy, nothing to do with law. #2 - "irregardless" is NOT a word. Why would the Public Service Commission Regulations try to regulate something like that? What you should be asking is: where is the US$120m Inter-American Development Bank (IDB) loan that we signed off on in January 2014 to fix the sewerage system in Port-of-Spain? Work is expected to begin next month, but we'll see if the money doesn't magically disappear! Good day i am working for a private company for almost a year i am permanently employed. My dad got a heartattack and i stayed home a month prior my significant other fell ill and i had to take him to the doctor i notified my supervisor the said morning and when in the following day i applied for it as a sick leave i was then advised "i was not sick " the 2 days will be deducted from my salary does a sick day constitutes that you need to be sick? Also, my employer advise carinival is not a public holiday so we need to apply for the both days if we want to stay home. Is this legal? As it stands, sick leave entitlement in TT only applies to the worker/employee, not family members. Carnival is not a public holiday. However, your employer can only deduct those days if s/he opens for business, but you choose to stay home. They cannot deduct your salary because the business is in port-of-Spain and they can't open due to the parade. Not your fault. 14 days / 10 working days is the industry standard. Can a private company request that an employee brings in a certified sick leave form after 2 (two) days sick leave? I've been permanently employed at a private firm for a little over a year now (January made it 1 year) and we don't have a set amount of sick days nor casual days. During the last few months of my first year of employment I became pregnant and due to a weakened immune system caused by the pregnancy, I became ill more often and had to stay away from work for approximately 6 days on different occasions. In total for my first year of employment i would have taken less than 10 days sick leave and most of which was due to my pregnancy. My employer now thinks that I am taking too much time away from work, that is when i am sick and my monthly doctor visits. I do not have a problem staying away and not being paid for it but i do not want my job to be in jeopardy because I need to take time off. I cannot help but feel discriminated against due to my pregnancy and i feel my employer may be looking to terminate me early to avoid paying maternity leave and the inconvenience of me being on maternity leave as she will need someone to replace me during this time. Is this treatment fair/legal? It's stated in the Minimum Wages Act and is therefore law. I work in a private company.. Can you tell me on the 5th year of employment would I be entitled for 1 extra week vacation? I have 2 weeks normally..
That's not law. It's a policy decision that's left to the discretion of your employer. What is your view on bereavement while on sick leave? Should a worker who was on sick leave be entitled to bereavement leave after the period of sick leave when there was also a death in the family. In my draft legislation that has been submitted the Minister of Labour and the members of the IRAC, I included 3 days bereavement leave. I think it's vital. What I meant is: if I was on 2 weeks sick leave and a relative died, am I entitled to my 3 days bereavement leave? Should it follow my sick leave? There's no law on bereavement leave, unless it's in your contract. What will happen if a contract employee takes vacation leave within the first year of contract, after being given permission by the head of the Unit? Would this be considered a breach of the contract if it goes to Internal Audit? No gratuity? How could it be a "breach" if it was "permitted"? i am employed with a private Co for the last 15yrs. i had surgery in May. i had applied for 10 days sick leave, at the hospital i got a 21 days sick leave. i stayed away for three weeks. when i came back out i filled out a form for 5 days vac leave. my employer applied the 21 days across the board to both my sick and vac leave. i had 11 days sick and 18 days vac. is this right? 2. sick leave for daily paid and monthly is it applied the same way. we do not work on a weekends, can sick leave be applied to those days. I am permanently employed with a Company in Trinidad that provides a 24 hour roadside assistance callout service. when I applied for vacation the HR Officer did not exclude saturdays, sundays and public holidays in working out how much vacation leave I was entitled to. Is this legal according to the laws of Trinidad and Tobago? Do you work on those days? If I became permanent with a company in May 2015. I was ill for 4 days between the time January to April 2015. Which the company paid me for. When I became permanent in May 2015 am I still entitled to 14 days sick leave from that date or I have to deduct the 4 days taken earlier in the year? I got sick called and informed my employer said the morning. That same morning I received a call informing me that I must bring a sick leave if I am coming out to work the following day. Is it legal to have to carry in a sick leave from a doctor after one day sick leave? What is the proper procedure? I took a sick day, informed my employer via phone. My employer informed me that I have to bring a medical certificate from a doctor when I return to work the following day. Must I produce a medical certificate after one or two days sick leave? Is this legal? On the 3rd day, so after 2 days sick. Can my employer refuse to pay/challenge one day I called in sick? As long you still have unused sick leave for the period, no. Can I claim for sick leave from past years which were not used. Is it legal for a private company to tell employees they must apply for vacation leave our no pay leave for carnival? I know they are not public holidays but I just needed to know. I wish to enquire if you work for an organization and have used up your sick days , should you be absent beyond your entitlement and submit a sick leave can the company still cut your salary ? Thank you in advance for your prompt and courteous response . 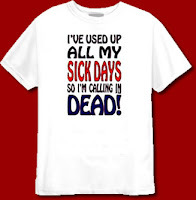 If an employee was granted 7 days sick leave by a medical officer, however on the day he/she was to return to work they called in sick. Would the employer be entitled to request an additional sick leave cert or ask the employee to provide a Fit for work? Good day in terms of flooding, does it have any laws in which the company is not allow to pay you for that day/are they allowed to pay???? What is the guidelines for the private sector and flooding and not being able to attend work. Flooding is not the company's problem. You not going to work is their problem. But I want to confirm. If I stay home for 2 days. Do I need to produce a sick leave to my employer or not? hi good day working for a private company and stayed home friday and monday was not feeling well came out tuesday and they ask me for a fit to work is it that you have to stay home three working day straight. Are you really 'casual' or is it a permanent position classified as 'casual' to deny you of your rights? What consists a full work week in terms of hours? Can an employer insist that a person works from 7-4 or 8-5, a 9hr workday? Im permanently employed with a private company. I'm being transferred from Chaguanas to Port of Spain after 15 years. No discussions were held and I am not being compensated. Is this legal? Where do you live. What's the reason? I am pregnant with twins the pregnancy had complications from the beginning. My doctor gave me 28 daya sick leave. I travelled abroad to while on sick leave to seek additional medical care and was given sick leave for the remaing of the pregnancy. Is that against the law. If what is against the law? Is it law that after missing two days of work and producing a sick leave that a fit for work is also required? As an employee on contract for more than two years am i legally entitled to vacation leave? Is it also legal to deduct health surcharge if one is not offered sick leave? Hello, I was ill on Friday, and also on Monday (I work shift, but am not mandated to work weekends), my employer states I need a sick leave and fit for work to resume duties on Tuesday. To my understanding, sick leave and fit-for-work are only required for three or more consecutive days. Can you guide me accordingly?